Isn’t this stunning?!! 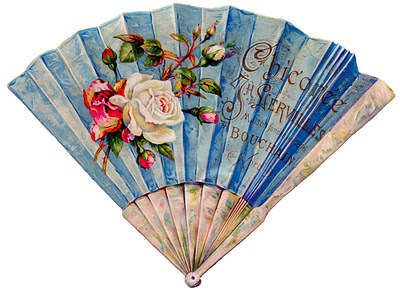 This antique scrap piece shows a gorgeous blue French Fan!! 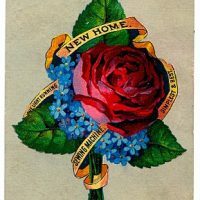 I love the French Typography on this one and the pretty Roses too! This would be lovely in a Collage or a Handmade Card! Vintage Clip Art – Electric Fans – Steampunk Vintage Graphic – Rose Bouquet – Sewing Ad Wild Rose Sketch Image! absolutely gorgeous! Love color blue! Thank you for the great fan! It is gorgeous! Thank you Karen! Karen–some of the images are kind of pixelated when I try to print them. Is there a way to have the line art print as well as it looks on your web site? I am trying to do something with a Grecian urn. Thank you; I love your vintage clip art. thanks Karen; a beautiful fan; am sure there’s something I can do with that.